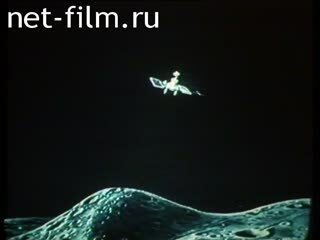 The film tries to answer the question: why were killed two Soviet space station "Phobos". Authors of the film interviewing the two leaders of the experiment: General Designer of NPO Lavochkin - V.M.Kovtunenko and director of the Institute for Space Studies - A.. A.. Galeeva. In these interviews reveals the main reasons for the failure of the "Phobos". Newsreels: cosmonaut Yuri Gagarin in the suit before visited on the spaceship "Vostok". YA Gagarin up the stairs to the elevator. General view of the launch pad at Baikonur. Torzhestrennaya meeting the first cosmonaut in Moscow: a demonstration on the streets of Moscow. The first space satellite in Earth orbit. View Hall CBC during one of the party congresses. Start spacecraft and rocket explosion in the sky. Center staff have display screens watching Mission stations "Fobos-I" and "Phobos-II" to Mars. Project leaders including VM Kovtunenko watching the flight station "Phobos-II", after conferring off station "Phobos-I". Screenplay I.Nahamkin at home, talking with the director of the Space Research Institute AA Galeev (sinhr.) interviews VM Kovtunenko (sinhr.). Newsreels (video): Launch in the bunker. VM performance Kovtunenko at a press conference (sinhr.). Chatting AA Galeev and VM Kovtunenko with I. Nahamkinym (sinhr.). Station "Phobos" in the assembly shop im.S.Lavochkina NGOs. Press conference of Soviet and foreign experts about flying stations "Fobos-I" and "Phobos-II". Speaking at the press conference, Director of Programmes explore the solar system NASA Geoffrey Briggs (sinhr. in English lang.). I.Nahamkin talking to scientists. General view of space communications antenna on / "Bear Lake" /. Astronomy and Space. International scientific relations. USA. Socio-political movement.